You can now book to inspect one of our rental properties right here on our website. Follow these instructions. 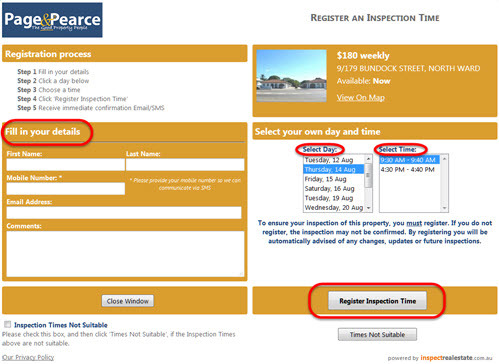 Complete your details; select a day and time for the inspection; click REGISTER INSPECTION TIME.